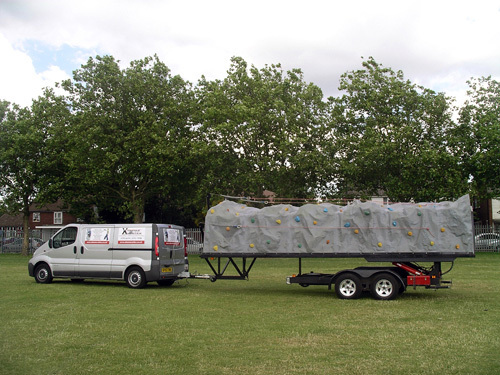 Our Mobile Rock Climbing Wall will arrive on an 8m long trailer being towed by a medium sized van. When the Portable Tower is set up, it requires an operating area of 12m by 12m, however we do need adequate space to manoeuvre it into position. Please Note: All gates and entrances must be over 3m wide and we cannot make very tight turns. If there are any height barriers these must also be over 3m. 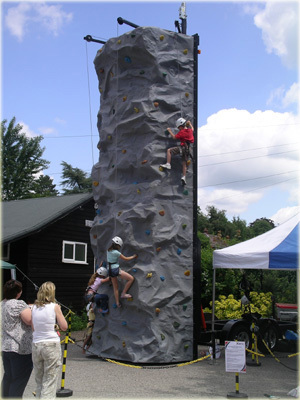 Please also ensure there are no overhead obstructions where the climbing wall will be in use such as telephone cables, electricity cables, trees or any other obstructions of any nature.